Cindy was previously an Operations Manager at PrimeCare before rising to Administrator. She was an administrator for a large healthcare facility for 7 years before joining PrimeCare. 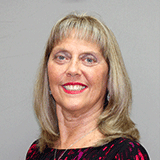 Cindy has also worked several years for a large insurance company in the Tampa Bay area. Prior to moving to Florida, Cindy worked for 19 years in a hospital setting, with several of those years in Human Resources.